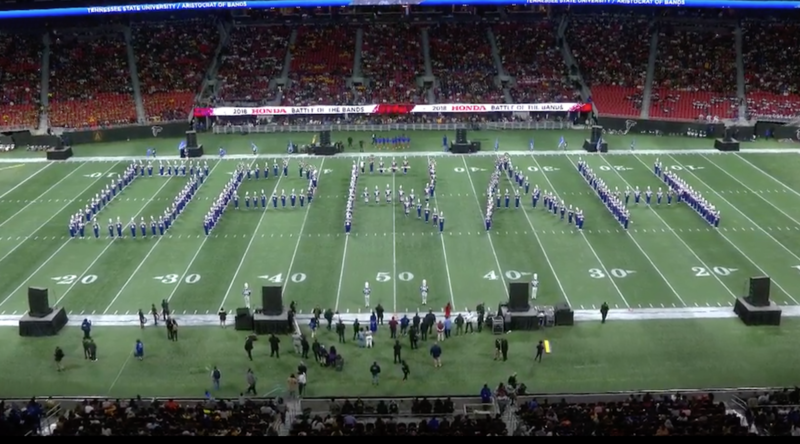 Tennessee State University's marching band performed at a showcase in Atlanta this weekend that came with a hefty grant — and a shoutout to one of its most famous alumni. The school was one of eight historically black colleges and universities selected to perform at the Honda Battle of the Bands, an annual celebration of music education. TSU's marching band, called the Aristocrat of Bands, was dressed in school colors of blue and white and played in formation on a football field, at one point spelling out "OPRAH" — who, as the announcer pointed out, is a graduate of the school. 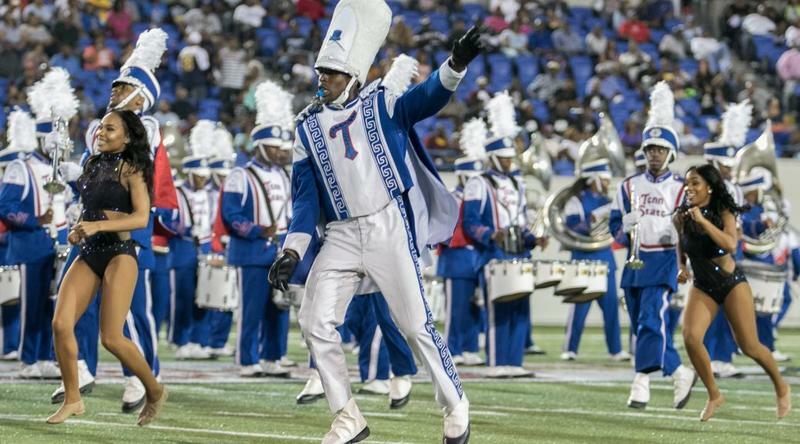 TSU's marching band spelled out the name of a famous alum at a weekend performance. "Everyone in the building, please give it up for Tennessee State University alum Miss Oprah Winfrey," the announcer said over the band. "O, are you running for president in 2020?" TSU has been invited to this showcase eight times, according to event organizers. Band director Reginald McDonald says schools are invited based on a social media voting process. "This has almost become a tradition for our students, to be recognized as one of the top eight HBCU bands in the country," McDonald says. And the tradition has large monetary support: The event's sponsor, Honda, gives each participating band a $20,000 check at the end, which McDonald says will to go toward scholarships at TSU. When Nashville foodies think about goats, they probably don’t imagine a succulent steak. 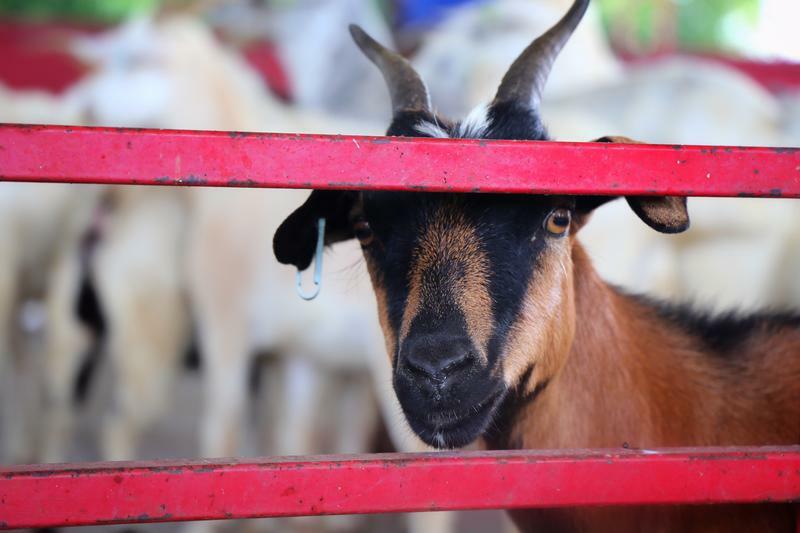 But Tennessee State University says the number of people who see goat meat as a staple in their diet is growing, and their research can help local farmers step in to fill the demand. Several public universities in Tennessee are lowering their out-of-state tuition by almost 50 percent for a certain set of students — those who are from places up to 250 miles away. 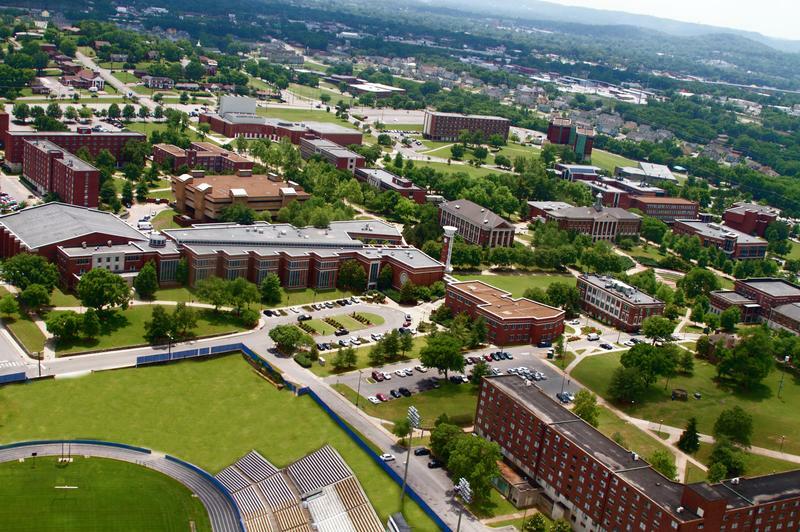 An annual audit released Monday found that Tennessee State University made some significant errors in recent financial statements. The state comptroller's office also cited the school for not reporting enrollment changes quickly enough.